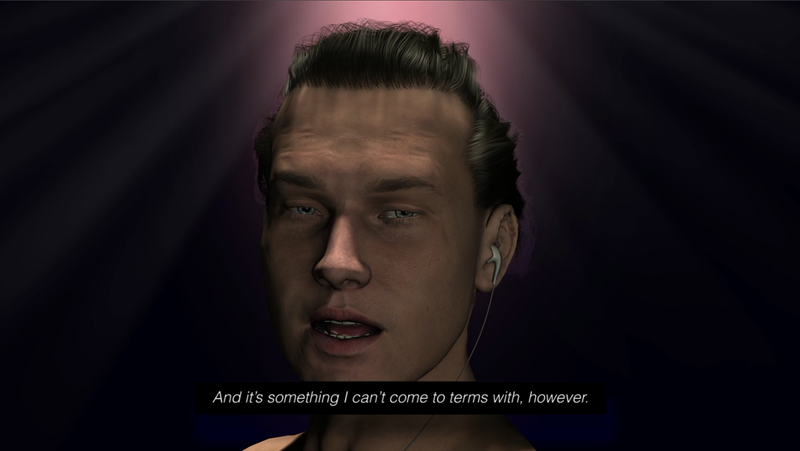 Ed Atkins works primarily with writing, sound and high definition video. Rooted in the literary- with particular nods to the conventions of horror and romance- and yet aborted from traditional narratives, his work seeks to explore the corporeal and tactile through high spec digital technologies, highlighting their deadness and flatness as jarring against the human story. 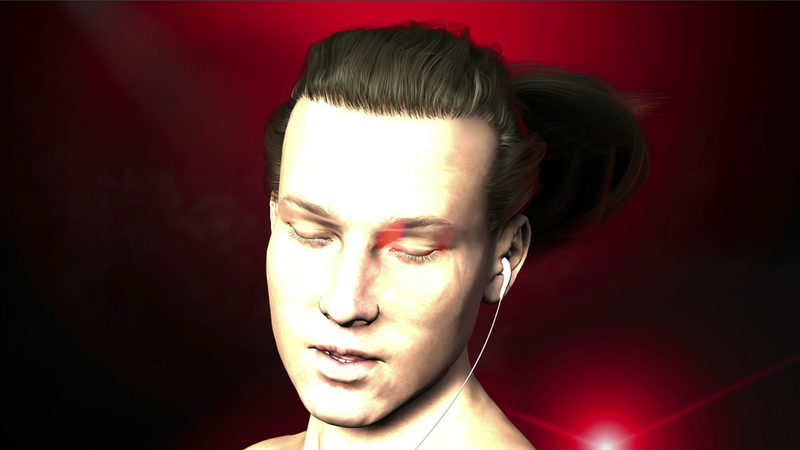 Ed Atkins (born 1982, UK) lives and works in London. Recent solo presentations include Us Dead Talk Love, Chisenhale Gallery, London (2012); Bonn Kunstverein (2012); Frieze Film Commission, Frieze Art Fair and Channel 4, London (2011); A Tumour (In English), Art Now, Tate Britain (2011); and Cabinet Gallery, London (2011). Atkins is a lecturer in Fine Art at Goldsmiths College, London. In September 2012, he began a year long tenure as writer in residence at the Whitechapel Gallery, London. Atkins is a recipient of The Jerwood/ Film & Video Umbrella Award 2012, and in November 2012 was one of eight recipients of a Paul Hamlyn Foundation Award. 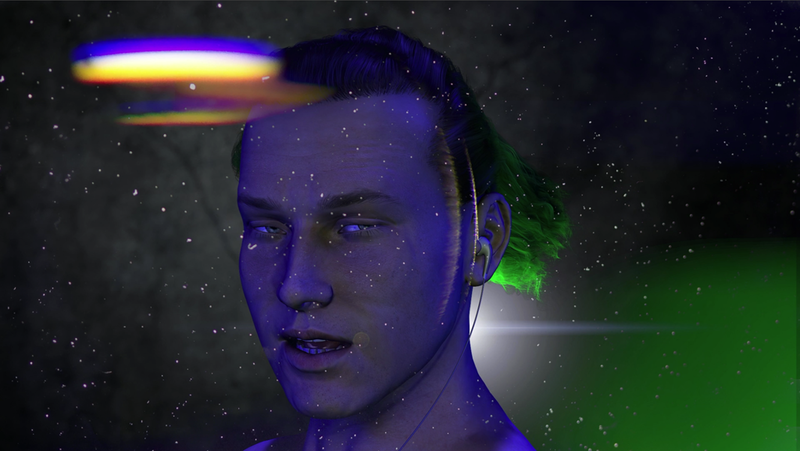 Current exhibitions include Ed Atkins, MoMA PS1, New York and Tomorrow Never Knows, Jerwood Space, London. Forthcoming solo presentations include Or tears, of course at Temple Bar Gallery, Dublin and Isabella Bortolozzi Galerie, Berlin. Atkins will also be participating in group exhibitions at Wysing Arts Centre, Cambridgeshire; Artists Space, New York and Team Gallery, New York. Atkins is represented by Cabinet Gallery, London and Isabella Bortolozzi Galerie, Berlin. Ed Atkins interviewed by Katie Guggenheim, Exhibitions and Events Organiser, Chisenhale Gallery, September 2012.